Legendary Chris Evert is her inspiration. She is the current No. 1 in WTA’s Women Ranking. 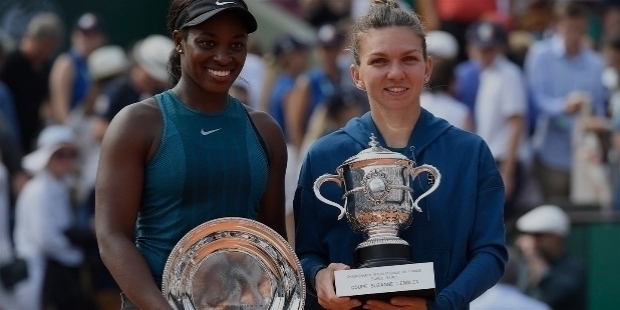 Romania’s Simona Halep won the Roland Garros 2018 title defeating American Sloane Stephens 3-6, 6-4, 6-1. She created a record for her nation by claiming the Grand Slam French Open title after 40 long years. Coincidently, her manager Virginia Ruzici had won the French Open title way back in 1978, defeating Mima Jausovec. It was the last time, when a Romanian tennis player had won a Grand Slam title. Simona enthused after the win, “40 years ago, Virginia Ruzici had won here. It is a very special moment. The fact that it has happened here, it is pretty special. She is an inspiration.” Sitting next to Simona, Ruzici was smiling with pride for her big achievement. Simona Halep also equalled her idol Chris Evert’s feat of lifting the French Open title in 1974, after losing three Grand Slam finals. Halep was not even born then. Simona earned her No. 1 WTA’s ranking in October 2017 and has maintained the numero uno status for 32 weeks, since then. Simona Halep has been rising among the top rankings with her super form and performance in the women’s tennis circuit. At the Roland Garros 2014, she lost to Maria Sharapova in the final. She was back at the Roland Garros in 2017. She reached the final. However, Jelena Ostapenko triumphed over her. Her perseverance and hard work saw her reaching the Australian Open final. She faced Caroline Wozniacki, who went onto win the title. Simona was consistently reaching Grand Slam finals, one after the other. However, a Grand Slam title had been eluding her. Simona’s unstoppable form at the 2018 Roland Garros was full of fire and desire. She grabbed every single opportunity against Sloane to lift her favourite Grand Slam title and hold the Suzanne Lenglen Trophy high up, amidst cheers and clapping sound. Simona Halep has opened the doors wide open for many Romanian girls, who will be now inspired by her success. Simona Halep was born in Constanta, Romania on the 27th of September 1991. Father Stere Halep is a former football player. He used to play for Sageata Stejaru Club at the lower leagues. He owns a diary product factory. Mother Tania Halep is a housewife. Her childhood inspiration was her elder brother, who used to play tennis. Little Simona started playing tennis at a tender age of four. Her love for the sport saw her moving to Bucharest to train harder. Justine Henin and Andrei Pavel were her idols, during her growing up years. At the age of 17, Simona started entering Junior-level competitions. She first won Roland Garros Junior Championships in 2008, defeating fellow compatriot Elena Bogdan in the final. Simona won two smaller ITF $10,000 tournaments in senior-level. She triumphed over Anne Schaefer at the ITF $25,000 tournament in Sweden. 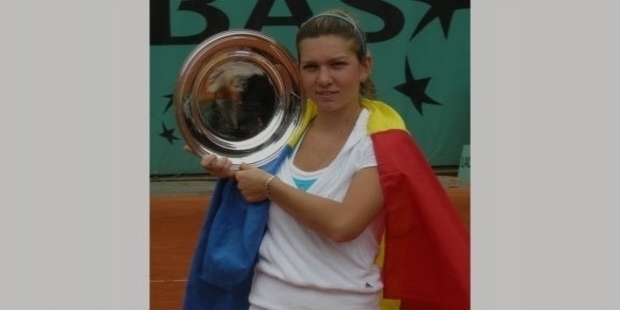 In August 2009, Simona Halep won the ITF $25,000 tournament in Maribor. In the final, she defeated top seed Katalin Marosi. In 2010, Simona entered the Australian Open and lost in the first round. She entered the 2010 Andalucia Tennis Experience in Spain. She went onto defeat 70th seeded Iveta Benesova and 36th seeded Sorana Cirstea. Even though Simona fought hard against 16th seeded Flavia Pennetta, she lost the duel. Simona consistently climbed higher in the WTA rankings, with her performance. She was upsetting higher seeded players on a regular basis in various tournaments, she entered. At the 2010 French Open, she lost to Samantha Stosur in the first round. In August 2010, she entered the U.S. Open. Once again, Simona lost in the first round at the hands of an experienced Jelena Jankovic. Simona made it to the third round at the 2011 Australian Open. It was the beginning of Simona Halep’s big leap on the seniors’ level. She lost to the 12th seeded Agnieszka Radwanska. She entered the 2011 Wimbledon Championships. In the second round, Simona lost to Serena Williams in three sets. At the 2011 Rogers Cup, she triumphed over 12th seeded Svetlana Kuznetsova in the first round. The win gave Simona her first victory over a Top-20th ranked player. However, she lost in the second round at the hands of Lucie Safarova. Simona defeated Li Na in the first round of 2011 U.S. Open. It was Simona’s first win over a Top-10 ranked player. In the second round, Carla Suarez Navarro defeated Simona in three sets. At the 2012 Australian Open, Simona lost in the first round. She was consistently working harder to overcome her losses. At the 2012 Indian Wells Masters and the 2012 Miami Masters, Simona made it till the third round. At the Brussels Open, Simona created an upset beating the former World No. 1 Jelena Jankovic in the first round. In a period of just five years, Simona Halep raised her rankings to be at the No. 47th in the world in 2013. It is indeed commendable journey of Simona’s success in the world. She was Romanian No. 2 tennis player. She lost in her first three tournaments of 2013 – the ASB Classic, Hobart International and Australian Open. The defeats made Halep hungrier to achieve the elusive title wins. At the Internazionali BNL d’Italia, Halep first conquered two-time Grand Slam Champion Svetlana Kuznetsova, then World No. 4 Agnieszka Radwanska and former World No. 1 Jelena Jankovic to reach the semifinals. Serena Williams defeated Halep in straight sets in the semi-final. Simona lost to Carla Suarez in the first round of 2013 French Open. At the Nurnberger Versicherungscup and Topshelf Open, Simona defeated Andrea Petkovic and Roberta Vinci respectively. These wins made her the first Romanian tennis player to win back-to-back tournaments on different surfaces. Simona reached the Top-30th rankings for the first time in July 2013, after Wimbledon. At the 2013 Wimbledon, Simona defeated Olga Govortsova. However, Li Na got the better of her. She won the Budapest Grand Prix as the third title of the year 2013. After the win, she lost to Serena Williams in the quarterfinal of Cincinnati Open. 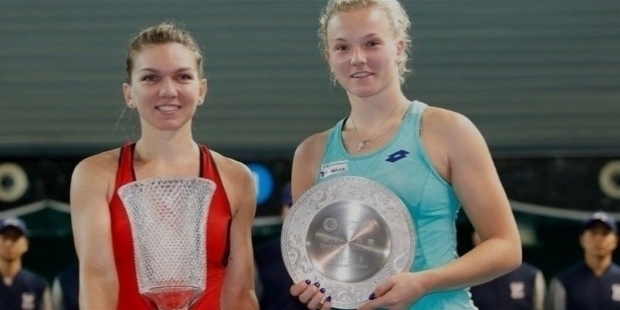 Simona bounced back to lift her fourth WTA title of the year at the New Haven Open. She reached the No. 19th ranking, to make it in the Top-20 for the very first time. Halep’s career has been a roller coaster ride with losses and wins. In spite of the hardships, Simona has truly shown a strong character of being ‘the’ Champion, which she is. She reached the fourth round for the first time at the 2013 U.S. Open. Flavia Pennetta defeated Halep. Each time Simona loses in a tournament, she bounce back to win the next outings like a true champion. After the loss at the U.S. Open, Simona won her fifth title of the year at the Kremlin Cup. She defeated Samantha Stosur. Halep’s fifth title made her the only player of the year to win titles on clay, grass, hard, and indoor courts. She also became the second most successful player behind Serena Williams, in terms of number of titles won. She closed the year 2013 with her sixth title win at the WTA Tournament of Champions. She triumphed over former World No. 1 Ana Ivanovic in the semi-final and Samantha Stosur in the final. She earned her No. 11 WTA rankings. She was named and awarded the ‘WTA’s Most Improved Player of the Year 2013’. At the 2014 Australian Open, Simona conquered Katarzyna Piter, Varvara Lepchenko, Zarina Diyas, Jelena Jankovic and evidently lost to Dominika Cibulkova. She gained enough points to reach the No. 10 in WTA rankings. She entered the history books as the 4th Romanian tennis player to enter the ‘Top 10’, after Mariana Simionescu, Virginia Ruzici and Irina Spirlea. Simona defeated Angelique Kerber at the 2014 Qatar Open and won her first-ever Premire 5 Tournament. At the BNP Paribas Open, she reached the No. 5 WTA rankings, by defeated Casey Dellacqua in the quarterfinals. Simona Halep became the highest-ranked Romanian in the history of the WTA. At the 2014 French Open, Halep was seeded 4th. She defeated Sloane Stephens in the fourth round. At the Grand Slam quarterfinal, Simona defeated former champion Svetlana Kuznetsova. Reaching her first Major final, she conquered 28th seeded Andrea Petkovic in the semifinals. Ranked No. 3, Simona Halep became the first Romanian, since Virginia Ruzici in 1980, to reach a Major final. She went into record books as the first player, since Martina Hingis in the 1997 Australian Open, to reach her first Grand Slam final without losing a set. She lost in the final to Maria Sharapova. On the 11th of August 2014, Halep rose to No. 2 in the world rankings. Two months later, Simona Halep became the 7th player to reach the No. 1 ranking, without winning any Grand Slam tournament. 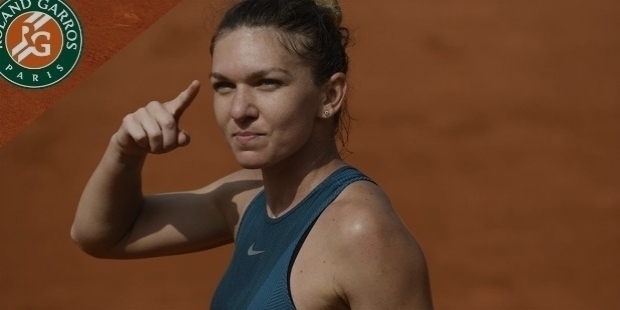 At the 2018 French Open, Halep conquered the likes of Alison Riske, Taylor Townsend, Andrea Petkovic, Elise Mertens, Angelique Kerber and Garbine Muguruza to ultimately win over Sloane Stephens in the final, to win her first Grand Slam title. Simona Halep was honoured by the City of Bucharest in 2018. She was conferred the award of ‘Cetatean de Onoare – Honorary Citizen’.